Chaba is located on the northwestern shore of Lake Bangweulu. It is an isolated community linked primarily to other villages and towns on the lake with Samfya as its main market outlet. The village has a population of approximately 15,000 people. Fishing and farming are the two primary sources of livelihood in Chaba. In recent years, Chaba has struggled with the impacts of overfishing and is finding it harder to make a living from this traditional trade. As a whole the community is finding that they must become more reliant on agriculture production and diversification as a means of providing food and income for their families. One unique component of the Chaba farming system is their reliance on rice production over that of maize. Estimates indicate that over 2,000 households in Chaba cultivate 2 or more lima of rice every year with the average production at approximately 500 kg of rice per lima. Most of the rice produced in Chaba is consumed or bartered locally, however traders from Samfya have begun coming to Chaba and buying up local rice. This emerging trade in rice is a clear opportunity for the community as developing trade in rice would positively impact the majority of families in the area. One concern that farmers have raised is the lack of rice processing equipment available to farmers in the area. At present rice is shelled by hand. Grain is placed in a sack and beaten with a stick and the chaff is then separated from the grain. This method leaves the rice grains shattered and reduces the value of the rice. While broken grain may be suitable for local consumption it fetches only a minimal price from local traders. If Chaba farmers were able to shell their crop using an industrial sheller, they would be able to increase the market value of their crop by approximately 10%. CCCG has sourced a rice sheller from Lusaka. The unit is powered by a diesel engine and has the capacity to shell 800 kg of rice per hour. Two staff will be trained to operate and maintain the equipment and keep records for the mill. 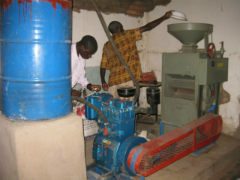 The training of the mill operators will take place in Samfya were there is an existing rice sheller. The mill plans on charging for the rice shelled and the profit derived from the mill will be used to supplement the CCC Group finances for their existing orphan care project. 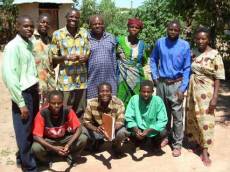 Chaba Christian Care Group was founded in 2003. 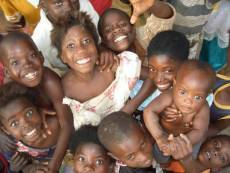 The organization was formed in response to the growing crisis of orphaned children in the community. To date, Chaba Christian Care Group has focused its efforts on alleviating the burden faced by guardian families as they struggle to provide for the physical and educational needs of their adopted children. Currently, the organization is providing an education sponsorship program for 230 orphan children. While the education program does alleviate some of the pressure faced by guardian families who adopt children, the Chaba community has recognized that only by addressing the underlining problem of poverty will families be able to find sustainable solutions to the orphan crisis in Chaba. Next to fishing, rice production is the second most important income source for Chaba. 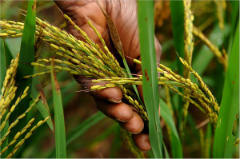 By improving the processing of rice, the project intends to improve the quality and marketability of locally grown rice. With the improved quality of rice, farmers will be able to increase the value of their crop which will translate into increased rice production for Chaba farmers and greater self sufficiency for families who have adopted children. The whole community of Chaba will benefit from the installation of this rice mill as all 2,000 families that grow rice will now be able to have it milled more effectively and will be able to generate more income. There are currently 230 primary and secondary aged children registered with the group but as the mill generates a profit it will enable more children to join the programme and thereby get an education. The most impressive aspect of this partnership is the leadership team. They have developed an organisation and a strategy and are doing the work regardless of assistance from outside. They represent a wide range of churches and have pulled together a well organised committee and team. They have a real vision for their community and a desire to lift people out of their poverty trapped lifestyle. ROLE: Coordinator - overseeing the partnership. Acts between the committee and donors and is the administrator. 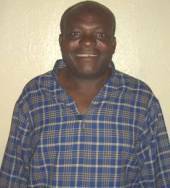 Mr Chomba works as a lecturer at Samfya Bible School. He is a graduate of GLO Bible School and has also received sales rep training, military training, accounting training (internal within Bright Hope) and has done administrative work previously. He lives with his wife and five children. Mr Chomba grew up in Chaba. See ZAM16 for details on the rest of the Chaba Board. • Contracting a rice consultant to come to Chaba to analyze and make recommendations on methods of cultivation, cultivars grown, processing methods and marketing of local rice. This partnership requires a one-off amount of US$11,000 which will cover all the costs associated with purchasing, transporting and installing the rice mill in Chaba. Once installed and operating the mill will then generate an income for CCCG and no further funds will be required. The mill has been in operation for around 3 years now. There were a few teething issues, which over time have been sorted by the CCCG board. 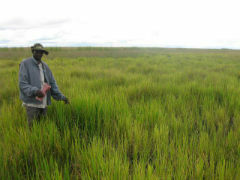 Currently the main issue is the quality of the rice being grown in the area being poor due to bad growing techniques. The rice produced is very uneven in size meaning setting the mill's shelling rollers is difficult to establish a quality end product. The board has therefore arranged rice farming training, employing a rice expert to come once per year and train the local farmers. To date 20 have been trained. They are learning about using the nursery and plant out technique rather than hoe and scatter seed technique previously used.